Do you really want to know the top New World Order ‘facts’? Well, actually the NWO is one of the most popular conspiracy theories, which has been mediated and rumored intensively, so that it’s hard to tell what facts are true, and which are just some figments of the collective imagination. Aside from the NWO, there are several other conspiracy theories. Earlier we have discussed the most popular conspiracy theories. But let’s get back to the New World Order. The New World Order has a motto “Novus Ordo Seclorum” and it is considered to be an organization which consists of some of the richest and elite families in the world, who have an agenda to cabal against the sovereignty of states while installing a single authoritarian world government. In this way, it has become a convenient way to accuse political rivals of involvement in the NWO, or linking various events like wars or major terrorist attacks as being set up by this order. We should also mention that the New World Order has not been the only conspiracy theory involving the control of the world by a relatively small group of people. Some of the most famous are: the Illuminati, Freemansory, or the Fourth Reich. The Illuminati, founded in the 18th century in Germany, is an organization which promotes secularism, liberalism, republicanism, freedom of thought and gender equality. Freemansory is a fraternity which was set up in Britain in the 16th-17th century, which has spread all around the world in different forms and currently is considered to have over six million members. The Fourth Reich is sometimes used a synonym for the NWO in order to create a parallel between it and the Third Reich in Germany, and to point out that the NWO’s ideology is similar to the Nazi-ruled Third Reich. However, it is hard to say whether the New World Order really exists, but to provide you with more knowledge on the subject, we have gathered some interesting facts about it. 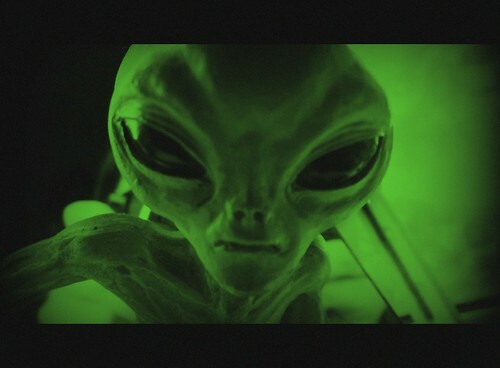 There is a consideration that Aliens have actually been around us for years, and maybe even longer, but the “reason” no one knows about the invasion is because they are collaborating with the New World Order and secretly running the world together with them. Even though it sounds ridiculous, this fact is worth mentioning, at least to cheer you up.